Humber Limited was a British manufacturer of bicycles, motorcycles and motor vehicles incorporated and listed on the stock exchange in 1887. It took the name Humber & Co Limited because of the high reputation of the products of one of the constituent businesses that had belonged to Thomas Humber. A financial reconstruction in 1899 transferred its business to Humber Limited. From an interest in motor vehicles beginning in 1896, the motor division became much more important than the cycle division and the cycle trade marks were sold to Raleigh in 1932. The motorcycles were withdrawn from sale during the depression of the 1930s. 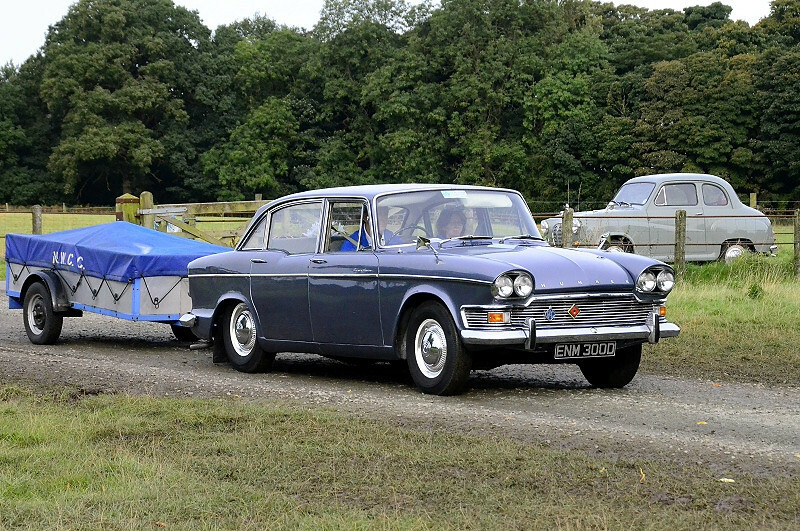 Humber is now a dormant marque for automobiles as well as cycles. Following their involvement in Humber through Hillman in 1928 the Rootes brothers acquired 60 per cent of Humber's ordinary capital, sufficient for a controlling interest. The two Rootes brothers joined the Humber board in 1932 and began to make Humber the holding company for vehicle manufacturing members of what became their Rootes Group. By 1960 annual production was around 200,000 vehicles. Previous insistence on Rootes family control, however, may have led to under-capitalisation of the business. Building a brand new car, the Hillman Imp, proved beyond Humber and Rootes Group resources and their businesses were bought by the Chrysler Corporation in 1967.